Looking to move and get relocated here in Woodstock, GA? If so, you have found the right place to help you with that for an affordable price! Woodstock Pro Movers takes care of the smallest moves up to the largest complete family moves with our on-time crews, and large trucks to get the job done. When you are looking to move for a reasonable and quick time frame, Woodstock Pro Movers will be able to assist you with your belongings and move them with care. Don't worry about renting a truck and doing it yourself, hiring us won't break the bank and we have years of experience moving families and local businesses here in Woodstock, GA and all of Cobb County! At Woodstock Pro Movers, we take pride in our affordable moving services and helping folks move on to their next destination. There is little to worry about once you hire us, we send out guys out on the date and time of your choice based on availability and take care of the rest! No more wondering who will take care of your move, we have you covered and look forward to earning your business! Additionally, we want your referrals to your friends and family, so we have a vested interest to do a great job for you and your upcoming move. With all the movers out there, you want a local mover who will take care of your possessions with care and get them safely over to your new residence or place of business. Looking for professional movers for your upcoming Residential move? We do that! 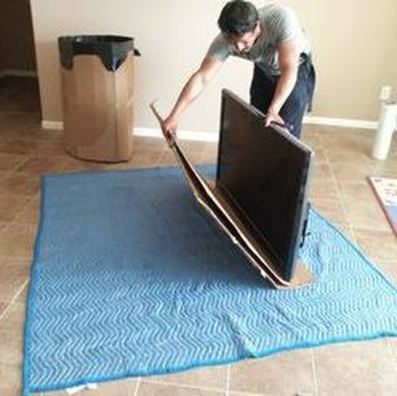 It doesn't matter if you are moving from apartment to apartment, apartment to a house, or from a house to another house, we can set up and schedule the move today! Our company takes care of the dissembly, re-assembly, packing, loading and the entire move process as a whole. If you have fragile things, we will bubble wrap them so that they get transported safely to your new destination. Moving everything yourself is a daunting task, call us today to save your back, and your wallet! After you spend all the time doing it yourself, asking friends and family to help, and renting a large truck, you would have been better off going with a professional mover that is local and can get the job done for an affordable price! Not only do we take care of residential family moves, we also do commercial moves as well for your business. Don't sweat getting a new office and getting things moved over, we can take care of your office furniture, desks, computers, chairs, tables and anything else that needs re-locating from your old office! Our trucks are massive and can fit the largest loads inside the box area. If not, we will bring out a 2nd truck and make sure everything gets over to the new office in a timely fashion. 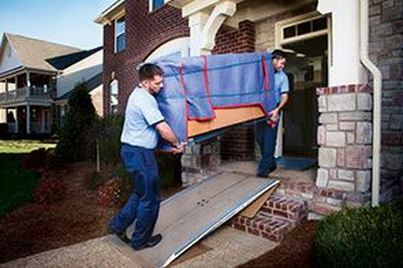 Guys, we got you covered around the Woodstock, Canton, Acworth areas for moving your belongings. Make sure you hire a reliable, affordable and local mover who will treat your furniture, belongings, and fragile items with care. We are here for you when you need us the most. Whether your move is weeks in advance, or an emergency move situation when you needs us same day or tomorrow, we can accommodate you and look forward to working with you! If you ever need Junk Removal in the Woodstock area, call Woodstock Junk Pros for your clean out!